In schools, culminating activities and contests will never be gone throughout the year. It is the time where we excel not just only in academics but also in different aspects by competing with others. In fact, it is one of the much-awaited parts of students in their school year; it makes one to work with determination, cooperation and unity or simply to work as one family. These past few months I have accomplished many things. First was the Aerodance Competition, I wouldn't be saying that it’s only my accomplishment; of course without my beloved classmates I wouldn't be able to win that contest. Yes, you read it right! 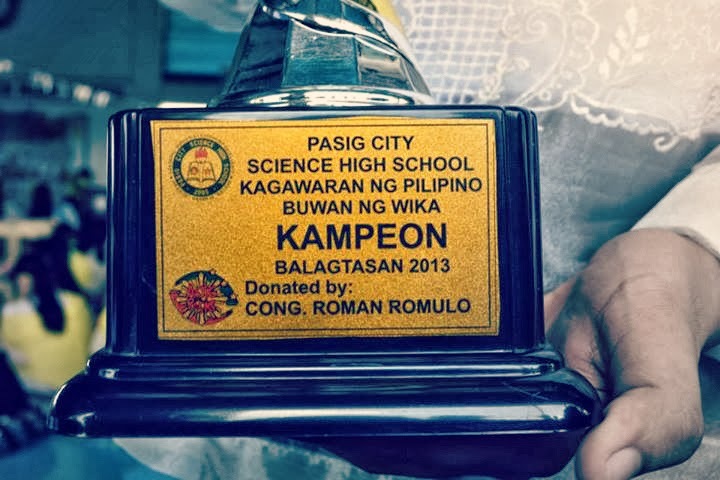 Last August 16, 2013, we were proclaimed as the champion of the said competition having the ‘booty shake moves’ as our trademark. 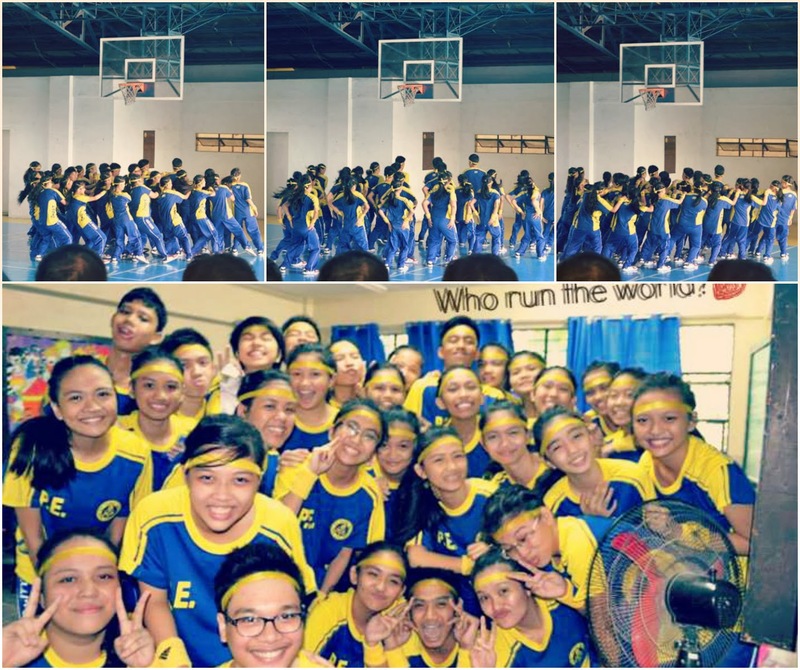 Right after the Aerodance was the Balagtasan 2013 for Filipino month. I was tasked to represent my section and contend with other representatives of third year and fourth year. Luckily, our section was proclaimed as the champion for that contest. Aside from that I also joined the Interpretative dance together with my co-dancers, to represent our school and compete with other schools in Pasig. 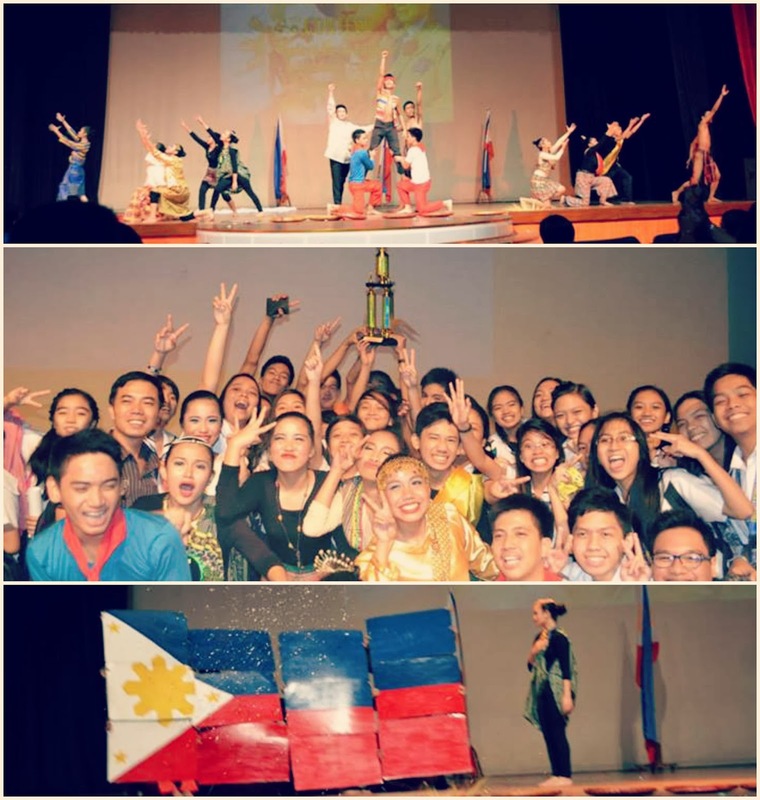 September 17, 2013, that day at Tanghalang Pasigueño, the most unforgettable accomplishment happened. 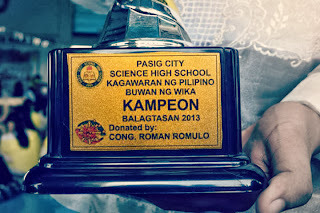 For the first time in history, Pasig City Science High School got the champion’s place in terms of dance aspects which really made me proud of I am part of Teamaraw; 6th batch. All of these accomplishments were just the result of our hardships and efforts and also an outcome of those people who never failed to support and guide us always, I thank you for that. To end my article I would just give some reminders. Remember that, winning is important to anyone, but what brings the real joy is the experience of being full engaged in whatever you’re doing. It’s all about the experience, and not the product itself. Once you play, have some fun and enjoyed what you were doing, then you’re the real CHAMPION.